Click New Energy image below for more info! New Energy is an informal youth group training together to improve their times in road races as well as their performance in track and field and cross-country events sanctioned by the USA Track and Field (USATF) and AAU. Motivations vary from those who simply enjoy running, to those who are goal oriented and recognize the need to train in order to perform well in races. With its group approach to running practices, New Energy provides a fun, sociable forum for running preparation and development. New Energy welcomes all youth runners, ages 6-16, regardless of ability. Practices are informal, and participants are encouraged to attend as many as possible. Runners must have a good pair of running shoes to avoid injuries. Uniforms, Warm ups and other gear can be purchased, but are optional. Membership in the Tidewater Striders is required by the third practice in order to participate in sessions and compete on a team basis in Track and Relay teams. The cost is $12.00 per year or $18.00 for two years. The Team participates in road races held in the Tidewater area, which are part of the Youth Grand Prix 1-mile series and are sponsored by local organizations such as school PTAs. Check race flyers for specific information. Coaching is provided by volunteers who are Tidewater Striders members. Again this year, Steve Sheppard and Angelo Celesia will provide leadership for training. Other running enthusiasts/parents will also participate. New Energy provides youth runners and their families an enriching environment which can be a building block to the youth runners’ future. In the past, New Energy runners attended National Cross Country and Track and Field Championships around the Country. Many previous New Energy runners are currently participating with high school and college teams where they have excelled in Cross Country, Indoor and Outdoor Track and Field with All State and National recognition. New Energy has produced numerous All-American medalists, State Champs and one National Champion in Cross Country. New Energy Team Training – Visit http://www.liveanswer.net/newenergy/NewEnergy.html for more detailed info and online signup. I’m a Hampton Roads local and I have been involved in sports and fitness all my life. I have played numerous team and individual sports, but found my true passion in running. I ran for Norfolk Collegiate high school and privately for Coach Bill Bernard. My collegiate running career led me to Elon University in North Carolina. During my time at Elon University I followed my passion for fitness and graduated with a B.S. in Exercise Science. I’ve worked in gym and lab settings studying all aspects of human movement. I have worked with young athletes as well as older persons. I have continued on this path because of my love for running and desire to pass on the knowledge I have acquired. I currently work as a personal trainer at 24/7 Fitness as well as privately across the Tidewater area. I also participate in a variety of competitions, from road races to triathlons to adventure races. My love of running and my belief that being physically active is important for overall wellness, motivates me to train others. I believe promoting youth fitness is so important to strengthening roots in our community. • Introduce myself as the new director of New Energy and adult meet ups. Make site visits to open the line of communications among parents/coaches/volunteers. Create a smooth transition and source ideas on how to improve these programs. • Grow the youth program’s participation and volunteer base at each site location. • Create an open line of communication with the Board on regular progress and receive feedback about our youth program. • Formalize adult meet ups across the Tidewater area. New Energy is an informal youth group training together to improve their times in road races as well as their performance in track and field and cross-country events sanctioned by the USA Track and Field (USATF) and AAU. Motivations vary from those who simply enjoy running, to those who are goal oriented and recognize the need to train in order to perform well in races. With its group approach to running practices, New Energy provides a fun, sociable forum for running preparation and development.New Energy welcomes all youth runners, ages 6-16, regardless of ability. Practices are informal, and participants are encouraged to attend as many as possible. Runners must have a good pair of running shoes to avoid injuries. Uniforms (singlet and shorts) can be purchased, but are optional. Membership in the Tidewater Striders is required by the third practice in order to participate in sessions and compete on a team basis in Cross Country and Relay teams. The cost is $10.00 per year. 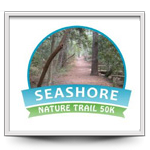 The Team participates in road races held in the Tidewater area, which are part of the Grand Prix 1-mile series, and are sponsored by local organizations, such as school PTAs. 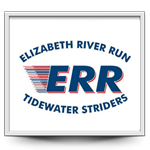 Check race flyers for specific information by visiting the Tidewater Striders Race Schedule. A New Energy Team race schedule will be part of the program.Coaching is provided by volunteers who are Tidewater Striders members. This year, Angelo Celesia will provide leadership for practice. Many running enthusiasts/parents will also be assisting.New Energy can provide youth runners and their families an enriching environment which can be a building block to the youth runners’ future.